Glasgow’s third sector is comprised of over 2000 charitable organisations, social enterprises and community and voluntary groups and is supported by the Third Sector Interface. The operating environment of the sector is more challenging than ever with the impact of public spending cuts and welfare reforms being felt keenly by Glaswegians. In spite of this our effective, diverse, and resilient sector continues to provided crucial support and services to our city’s most vulnerable individuals and families. There are almost 12,500 paid staff in Glasgow’s third sector. In addition, over 34,000 Glaswegians do some unpaid voluntary work every week for organisations with paid staff. 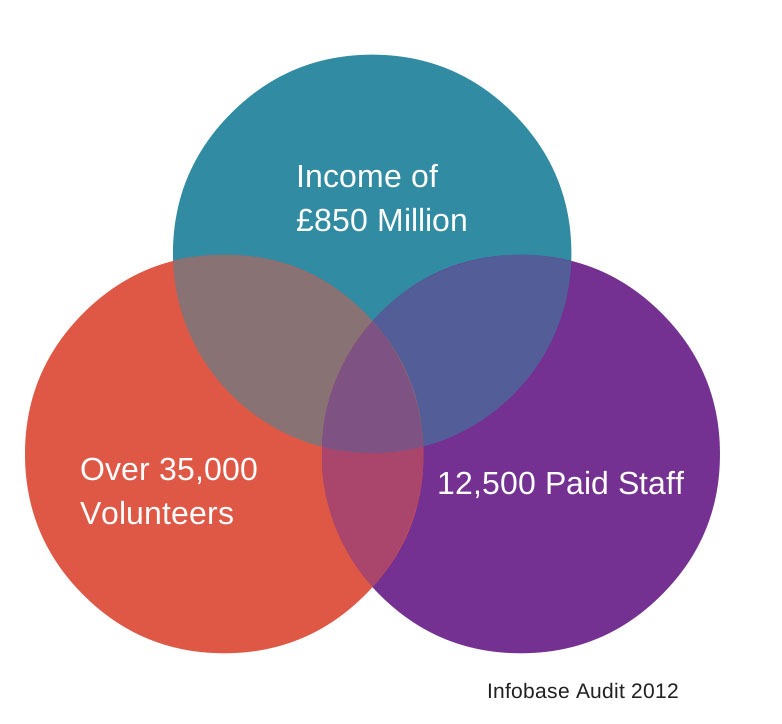 The annual income of the staffed sector is £865 million. Over 480 organisations across the city with paid employees focus their work on one or more equality group. This is an increase of 100 organisations since 2009. Over 69% of voluntary and community groups focus on the ‘hard to reach’, drug users, disabled people, people with mental health problems, those with learning difficulties and older people. Over 17% of organisations focus on providing services to young people. 17% of organisations with unpaid volunteers provide sport and leisure opportunities to Glaswegians. 17% of organisations with unpaid volunteers provide services to older people. Almost 91% of all voluntary organisations are overseen by a board of directors. That percentage translates into 11,891 voluntary governing body positions.